News: 3/26/18 The Mt. Shasta City Council listened to but ignored public comments about CGWC's toxic and hazardous wastes. It approved the sewer permit anyway. The majority's expressed reason was that CGWC had threatened to pollute the groundwater via its leachfield if the City didn't accept its pollution discharges in the sewer system. In response to questioning, the City's flummoxed engineer admitted that CGWC had not disclosed these new chemicals before the EIR was approved, and admitted he didn't understand their risks. The City attorney, while appearing to be working for Crystal Geyser, perplexingly said the public could not challenge these newly-disclosed chemical discharges because if someone believed the EIR was inadequate last year, they should have gone to court over those new chemicals' impacts (even before the public had learned of them). Two more intelligent Councilmembers urged a postponement to consider this new information and ways to hold Crystal Geyser accountable for their other harmful impacts to the City's interests but were outvoted. The Water Flows Free group has in the last few weeks learned the Crystal Geyser Bottling Plant Project is requesting to connect similar new sources of pollution to the City of Mt. Shasta’s sewer system but with no additional environmental review. Those chemicals include wastewater discharged from its massive cooling towers. One cannot help but wonder if this is an unethical corporate "bait-and-switch" tactic meant to evade proper environmental regulation? Mt. Shasta City officials have the duty to be aware of and be especially careful to protect their community’s water. It is unconscionable for Crystal Geyser not to have disclosed during its EIR preparations that cooling tower water pollution discharges were to be later proposed. The City Council’s February 26, 2018 Agenda packet contained a draft version of this Project’s “Industrial User Permit with Track Changes” that has been altered by CGWC’s new requests. These changes pose substantial environmental risks that are required to be addressed and analyzed under CEQA before approval of this sewer permit. Crystal Geyer’s sewer permit application was amended in February 2018 to allow the discharges of condensate from an oil-free compressor, cooling tower “blowdown” water, and boiler “blowdown” water. These industrial discharges most likely contain hazardous and toxic substances which were not disclosed in the draft 2016 version of this sewer permit application that was included in the Project’s 2017 Final EIR. This EIR neglected to evaluate the risks that such compressor condensate, “blowdown” water chemicals and toxins could cause to local groundwater or the City's sewer system from potential anti-scaling chemicals, corrosion-inhibitors, or biocides. These new changes pose significant environmental risks. The City of Mt. Shasta Municipal Code Section 13.56.320 prohibits such toxins, condensate or “blowdown” water discharges to the City’s sewer system. At this time, making such an approval of this permit application is in violation of this ordinance. This would constitute a “discretionary” decision rather than a “ministerial” act. Discretionary decisions must be reviewed under the California Environmental Quality Act (“CEQA”) if the consequences have not been previously addressed and analyzed in this Project’s 2017 EIR. These 2018 changes were not disclosed previously by CGWC, and these changes were not known and could not have been known by the public when the Final EIR was certified by Siskiyou County in October, 2017. CEQA Guidelines section 15162(a) requires the City to prepare a Subsequent EIR under these circumstances to analyze these new significant effects that were never previously described nor reviewed. Crystal Geyser might not like the reality that its tactics in hiding these new sewer discharges from the public in 2017 will now require more time to review with a Subsequent EIR's preparation. But this result is due to Crystal Geyser's flawed handling of its own Project's applications. If mismanagement like this is occurring even before its doors are open, what risks do Crystal Geyser's other operations pose for the Mt. Shasta community? 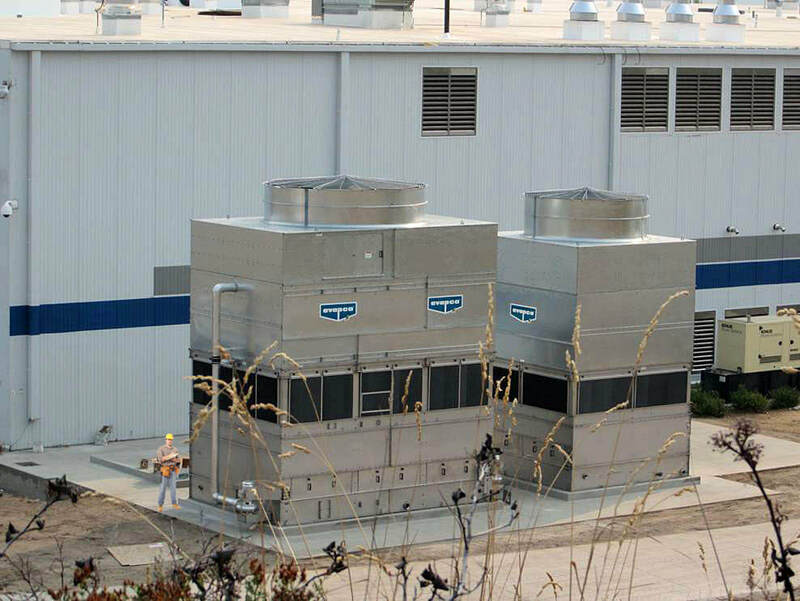 Crystal Geyer Water Company proposes to discharge “blowdown” water from its Project’s evaporative cooling towers that are to be located near the northeast corner of its bottling plant. Cooling tower water gets too concentrated with minerals during use to be recycled many times, gets dirty from dust that is absorbed during use, must be protected from corroding the metal pipes, must prevent scaling and biofilms (scum) that can clog pipes and equipment, and must have toxic biocides added to prevent air-borne Legionella disease from spreading in the neighborhood. Crystal Geyser proposed in its 2017 EIR that it might use “Dolphin” type cooling towers which it claims do not need anti-scaling chemicals. But Crystal Geyser never disclosed how it would deal with and dispose of corrosion-inhibitor chemicals or biocide toxins in cooling tower blowdown waters. For all the public learned from the EIR, Crystal Geyser might have been intending to use a "Zero Blowdown Technology" so there would not be blowdown water being discharged. But the EIR is completely silent on any blowdown water discharges or compressor condensate wastes or toxic biocides. The manufacturer of Crystal Geyser's cooling towers even warns its customers that its water treatment system does not eliminate the risk of Legionella bacteria, stating: "EVAPCO makes no claims, through the use of the Pulse~Pure® system, to eliminate the presence of Legionella in water or control the potential risk factors for human infection." Presumably, now that CGWC has announced it wants to discharge these blowdown waters and chemicals to the City’s sewer system, these chemicals and toxic risks will become the City’s or public's liability. There are no mitigations in this EIR to require CGWC’s continued use of “Dolphin”-type cooling tower equipment. Such equipment has been known by some professionals in the field to be unreliable or to fail and be replaced by conventional chemical-based treatment systems. It was the corrosion-inhibitor called hexavalent chromium (chrome 6) that caused the widespread disease and groundwater pollution in the infamous case against PG&E that led to Hinkley, CA practically becoming a ghost town in the following years. Even a more mild case of water pollution cannot be allowed to occur in Mt. Shasta! Pacific Gas & Electric (PG&E) was in trouble. Serious trouble. Four decades after the world's largest utility started dumping 370 million gallons of cancer-causing chemicals into unlined ponds in Hinkley, California, the company's actions had finally been uncovered. 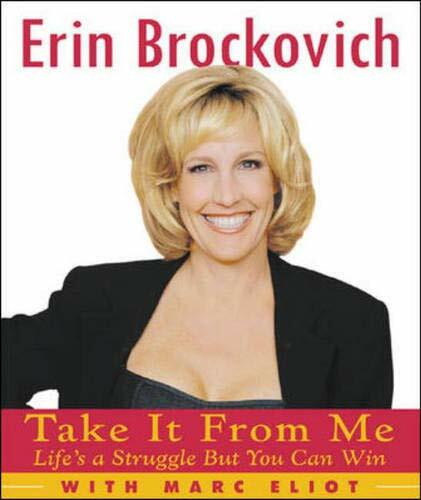 Uncovered by Erin Brockovich (a formerly unemployed, single mother of three working in a California law firm) who wanted to know what medical records had to do with a real estate file. What she found out led to the biggest settlement on record for a civil class action lawsuit. Many people and domestic animals in the high desert town of Hinkley, California were getting sick. Some had died. Since residents depended on the local groundwater supply for all their needs, were the illnesses somehow related to PG&E's Gas Compressor Station located nearby? On December 7, 1987 officials from the company advised the State of California they had detected levels of hexavalent chromium (chrome 6) in a groundwater monitoring well north of the compressor station's waste water ponds. The levels were ten times greater than the maximum amount allowed by law. Known as a cancer-causing chemical since the 1920s, chrome 6 is especially dangerous to lungs. Since many of the Hinkley residents were reporting respiratory problems, a link to chrome 6 contamination seemed possible. After PG&E reported the pollution to the government, company officials started a program to buy every piece of property in the community thought to be affected by the pollution. (That's what medical records had to do with real estate transactions.) It wasn't long before PG&E had 75% of those houses and buildings destroyed. The company reported it was merely responding to vandalism. Chromium occurs in two forms. The form that is present in groundwater can cause health effects in high doses. The cleanup program, however, will result in chromium levels that meet the very conservative drinking water standards set by the EPA. In addition, the form of chromium that will be left on soils after irrigation is nontoxic. In fact, chromium in this form is a naturally occurring metal that is an essential ingredient in the human diet, one that is often included in multiple vitamin/mineral supplements. Reading these words, one could reasonably think PG&E's hexavalent chromium was almost beneficial. As the plaintiffs' trial brief wryly commented, the flyer might have invited a person to "sprinkle some on your morning cereal." Failure to properly identify the dangerous type of "chromium" it had dumped into the environment wasn't PG&E's only omission. The flyer made it sound like detection of contamination at the compressor station was a new development. It wasn't. PG&E first knew about plant contamination by at least 1965. Fox Reporter: What did PG&E know and when did officials know it? [PG&E Representative]: It wasn't discovered until 1987 when, through a routine environmental survey, which we do on all our sites such as this, the Company discovered it. Fox Reporter: But this man, Victor Moore, worked at the Hinkley plant for more than 32 years and he says that a fellow worker found the contamination in 1965, across the street from the plant. Fox Reporter: We wanted to talk to Moore's co-worker but the man has died of cancer. However Fox News has obtained PG&E test data on that same well, and it seems to back up Moore's claim. It shows that in September, 1965, PG&E found levels up to 400 times the EPA's current safety standard, and answers from a top PG&E official under oath for the current lawsuit, bolster that 1965 discovery date. Fox Reporter: We asked [the PG&E official] to explain that apparent 22-year contradiction. He says PG&E senior management wasn't told until 1987. In other words, PG&E officials in Hinkley knew about the extraordinary levels of chrome 6 contamination, but senior management in San Francisco didn't? Based on the evidence, high levels of chrome 6 contamination found in 1987 could not have been a surprise to the company, notwithstanding whether senior management knew. People and animals who lived in the area had been breathing, ingesting, and absorbing dangerous toxins into their bodies for decades. Why did PG&E use so much chrome 6 at the Hinkley Compressor Station? And how did that chemical travel from plant facilities into the bodies of people who lived nearby? Hinkley is located in the Mojave Desert, near the town of Barstow, California. It is not far off the famous Route 66, about 150 miles from Las Vegas. Surrounded by beautiful scenery, Hinkley is an important point on PG&E's natural gas pipeline as it travels from Texas to California. The purpose of the Hinkley Compressor Station is best described by PG&E in the flyer it gave to neighbors of the plant. The Hinkley Compressor Station was built in 1952 as part of the pipeline system that brings southwest natural gas to PG&E's service area. These PG&E gas lines serve Barstow and the surrounding area by delivering gas to Southwest Gas Company. The Station compresses one third of the natural gas required by PG&E's customers in northern and central California. The purpose of the Compressor is to boost pressure and to send the natural gas northward. As part of the plant's operation, heat is generated during the gas compression process, and the heat is removed with cooling water. The water, in turn, is cooled by the passage through cooling towers." Although this process sounds straightforward, operating just like thousands of other facilities with cooling towers around the world, PG&E did something else. Gas compression generates heat. That means the gas and the compressors have to be cooled with circulating water which, in turn, passes through cooling towers. To keep its cooling towers from corroding too fast, PG&E added a "corrosion inhibitor" to the cooling water from the day it first operated the plant. That corrosion inhibitor was chrome 6. When the cooling water became saturated with undissolved solids (like chrome 6), PG&E discharged some of it into unlined earthen ponds located at the compressor station. That wastewater is referred to as "blow down cooling water." The amount of toxins contained in PG&E's completely unpurified blow down cooling water is shocking. Even more shocking were the amounts of residue left on the soil after PG&E sprayed contaminated wastewater into the air. After the water dried, soil-containing chrome 6 was free to blow in the wind where it could be inhaled by living things. What happened to the chrome 6 once it was discharged to the unlined ponds or sprayed onto the soil? Following the normal process of nature, called the "hydrologic cycle," the toxic material (now called "the plume") was free to travel from where it was (in the ponds) to where it should never have gone (to the groundwater). Once it was in the aquifer that supplied Hinkley residents with all their water, nothing stopped the toxic material from getting into the peoples' wells. Wherever the plume traveled, the corresponding wells in its path were contaminated. ...avoid drinking your well water, but it is safe to use for all other domestic purposes such as bathing and watering animals and plants. It is difficult to comprehend how anyone could have made such a statement in light of the facts. During the meeting, defendant (PG&E) told citizens that there was "No risk at current levels" and "Generally, site groundwater is good and suitable for drinking and agriculture." They want to know the truth. That's really what they want in this lawsuit because they are dying, some of them. They want to know what was done to them as they grew up and raised their families." As lawyers for both sides fought, the case grew. Eventually 648 plaintiffs joined the lawsuit. (That did not account for all the people who had lived in the Hinkley area over the years - some of whom were not part of the case but are sick today.) The legal teams reviewed about 1 million documents and took several hundred depositions. As PG&E's own documents were starting to stack the liability decks against it, company officials received the worst possible news from the trial court. The "fear of cancer" claim (referred to as "preconception injuries" in the case) would go to the jury. PG&E had filed a motion to strike all claims for "preconception" injuries. Its lawyers had argued such injury claims were speculative. Maybe so (goes the argument for plaintiffs), but people who drank polluted water and breathed contaminated air get one day in court. Even if they aren't actually sick on the day of trial, how would they ever recover if they got sick in the future? Public policy can rightly be said to be found in the concept that the public interest in a pure water supply gives rise to a special relationship to one who pollutes that supply in some substantial fashion. However, there may be no public policy to be served if the pollution occurs at a time and in a manner when no one knows, or ought to know, that the acts now complained of endanger the public. The existence of facts necessary to make the determination of any such special relationship, as well as the factual background to determine whether public policy principles should be applied, are triable issues best left to the trier of fact. We are not going to go away for eight figures. By July and August of 1994, with the preconception win in their pockets, plaintiffs literally bombarded PG&E with six inches of motions to compel production of documents and more detailed answers to interrogatories. Their lawyers knew what they were doing; they had done the investigative background work; they were prepared; they knew their case. What they needed from PG&E were the details: The facts and figures of how much chrome 6 was used; how and when it was discharged; when the wells were first tested; how much concealment from the citizens of Hinkley was really going on. Look. You folks are in a no-win situation here. You have contamination all over the place caused by a known carcinogen. You discharged tons of chrome 6 and it polluted the area. You knew it was "out" in wells by 1965. You didn't stop using it. You didn't tell your neighbors you were sending carcinogens their way. And then, when you finally DID tell them, you said it was okay for them to keep using the water for all purposes except for drinking. Well, it wasn't okay. Now you have given us this case to defend for you. Our only reasonable defense is lack of damages: not all the plaintiffs are sick - only SOME of them are sick. The rest are scared they're GOING to be sick. That's speculation, isn't it? Except the trial judge hasn't thrown it out as speculation. He says it's a jury question. Well, let me tell you what a jury is going to do with THAT issue after they hear how you dealt with your unsuspecting neighbors. So - let's see if we can get this thing away from a jury and into the hands of some arbitrators at Judicial Arbitration and Mediation Services [JAMS]. At least there you'd have a chance of getting through this without ruining your reputation in the community and avoiding a verdict that will forever embarrass your company. It's interesting to speculate whether a discussion like that took place. It is more than coincidental, however, that by September 19, 1994 the parties reached an agreement to arbitrate/mediate. The agreement pulled the case out of the trial court - where a jury would have decided it - and placed it into the hands of Justice John K. Trotter and Judge Daniel H. Weinstein, two outstanding retired jurists. The case still had a long life ahead of it, but at least the parties had formulated a reasonable way to work through the claims of more than 600 people. Required PG&E to stop using chromium 6. The case has become a landmark for other plaintiffs whose "preconception" injuries would previously have been completely disregarded. The plaintiff lawyers did their homework. They weren't afraid to take on a monstrous case requiring mountains of work. They fearlessly took on the biggest publicly owned utility in the world and shook it so hard the company had no choice but to write the big check. But someone had to get the case started. Someone had to dust off a languishing file and actually DO an investigation. Someone had to talk to the clients and gather enough information to make everyone's "hairs stand on edge." Someone like Erin Brockovich is always needed to bring a giant to its knees. Bos, Carole "Brockovich, Erin" AwesomeStories.com. Mar 01, 2000. Mar 16, 2018. • Make a pledge to avoid Crystal Geyser water, and all water products from Mt. Shasta. Urge them to "Stop desecrating sacred Mt. Shasta" and "Drop the plans to open a new bottling plant in Mt. Shasta City". Crystal Geyser is owned by Otsuka Holdings, a Japanese corporation that is ignoring the concerns of the local Mt. Shasta community as they gain approval (and subsidies) for a second water extraction and bottling plant on the mountain.